A strong, independent and vibrant civil society is a sign of a healthy democracy. Citizens are a force to resist democratic backslidings when they are free to monitor and hold decision-makers to account, to raise concerns about abuses of power, to bring diverse voices to the policy process… Hence when civil society is being weakened, democracy is endangered. Everywhere across Europe, the civic space is shrinking with the rise of far-right movements and conservative powers jeopardizing citizens’ and civil society’s rights to organize, assemble, protest, move freely, work independently… Day after day, critical voices are being shut up while anti-rights groups expand and colonize civil society spaces. 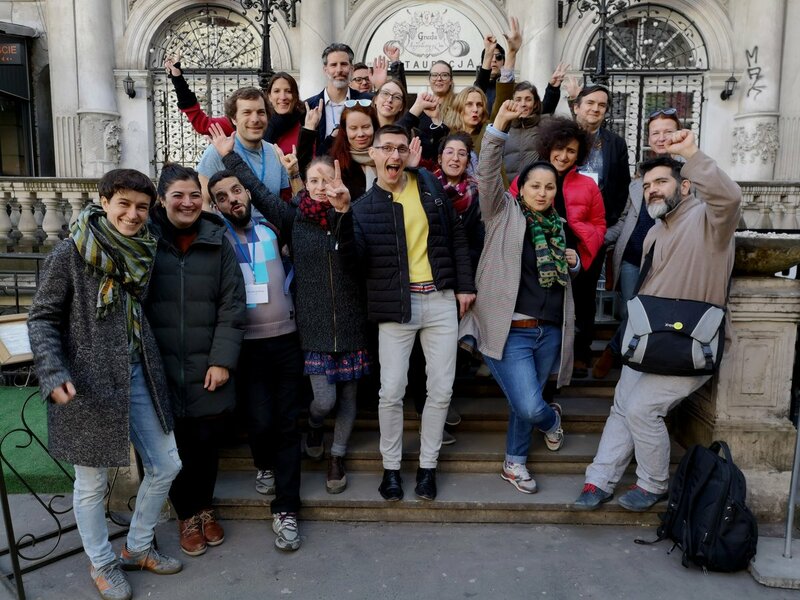 Faced with the global pattern of repression against civil society organisations, we decided to team up with our homonymous partner Citizens For Europe to support with 60.000€ the creation and launch of the European Democracy Network (EDN). A network thought and built to facilitate a transnational community of mutual support and solidarity serving the needs of activists affected by and fighting against the erosion of fundamental rights, civic freedoms, political rights, and democracy. The EDN brings together 16 activists from all over Europe (Denmark, Hungary, France, Czech Republic, Slovakia, Germany, Poland….) willing to learn from each other, strengthen each other, collaborate and create change defending democracy and fundamental rights. EDN is a co-creation, it is therefore « owned » by the activists who are invited to develop it in a way that best supports their work and needs. Participants will meet every 2-3 months until June 2020 to collectively reflect on the process of eroding democracies, to learn new skills and to build strategies to counter anti-democratic developments. In addition to the activists workshops, a series of « Citizen dialogues » will be organized to open the conversation to a larger audience and to inform citizens. The shrinking of civic space is a big challenge and resisting this trends needs strong structures and long-term collaborations. If you know of similar or complementary initiatives, let us know, we’ll gladly reach out to them : united we can counter and defeat democracy opponents! In addition to our support, the EDN is co-funded by the Europe For Citizens program of the European Union. Its partner organisations are : Citizens For Europe (Germany), Obywatele RP (Poland), NESEHNUTI (Czech Republic), Hungarian Civil Liberties Union (Tasz Hungary), VoxPublic (France), and Nyt Europa (Danemark).